It’s been a steady (and delightful) diet of rando bike this summer, but I’ve been missing the QB. It was out of commission due to certain part swaps needed for the MAP build. Finally, wider tires, new brakes, and new cables were added, and it rolls again. It is fun to grab a completely different feeling bike simply for the sake of variety. It’s fundamental. Whilst slowly building the LHT it occurs how simply I could "unbuild" the old Falcon. Sometimes simplicity is complicated. Good to hear of rando rambles, and equally good to hear hat the QB still has a place. Peter, I've learned that "simple" is completely different than "easy", bust is a worthy pursuit. It interests me to think the "simple" bike is the most brightly colored whereas the more "sophisticated" is the most understated. I wonder if perhaps this is by design or just the way it turned out. Uh…my prior comment should have said, "…but is a worthy pursuit. 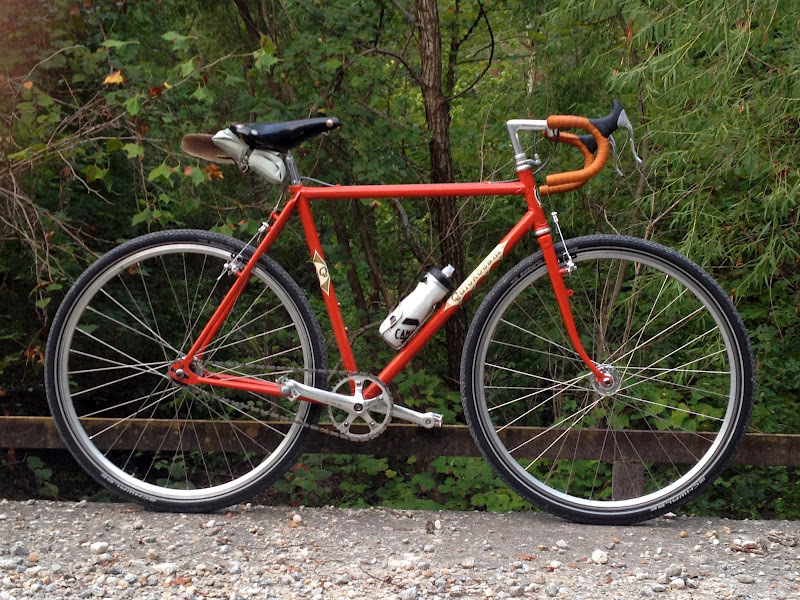 "GravelDoc, speaking of understated, I'll admit that almost zero thought went into color for any of my current bikes. They are whatever someone else chose for them.